Behind the Mic—Guest Jessica Paquette – Welcome to the 2019 Beemie Awards! Continuing with the Behind The Mic Series, we’re now shifting to folks who are not just behind the mic, but behind the camera at racetracks around the country. 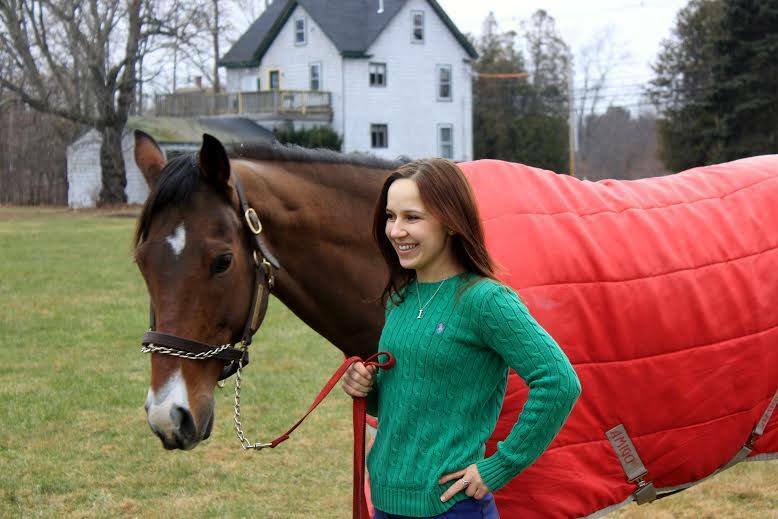 Today we’re joined by my good pal Jessica Paquette who is the paddock host/handicapper as well as Senior Director of Communications for Suffolk Downs in Boston. How did you first discover horse racing? JP: I was a horse crazy little girl. Anything that had a horse on it, I was interested. My local corner store carried the Daily Racing Form and I started insisting my mother buy them for me. I had no idea what I was looking at at first, but I was hooked. The first race that sealed the deal was Silver Charm’s Kentucky Derby in 1997 – I was in for life after that. What was your first job in racing? JP: I worked as a groom at Rockingham Park when I was 17 and they had harness racing. As a handicapper you’ve told me before you’re a pedigree nerd, what is it about pedigree that appeals to you? JP: The history. Being a fan for as long as I have at this point, it is amazing to me that I can now remember horse’s grandparents and great grandparents from their racing days. As a paddock host, what are things you’re looking for most in horses as they parade around the walking ring? JP: I want to see positive, forward body language and good flesh and dapples. After awhile, you begin to learn what is “normal” for certain horses. I remember this one wonderful old warrior Christmas Away that would buck and play in the paddock when he was feeling really good and those would be the days he would win. What’s your favorite race you’ve ever seen at Suffolk Downs? JP: Skip Away winning the Massachusetts Handicap over Formal Gold in 1997. Being in the public eye has it’s positives and negatives, What are the nicest and meanest things a racing fan has said to you? JP: A couple of our hardened old rail birds have commented over the years that I really know my stuff. That means a lot coming from them. I dyed my hair back to my natural color, brunette, a couple of years ago. One cranky older gentleman told me I picked more winners when I was blonde. Not mean, really, just funny. You adopted an Off the track Thoroughbred named What a Trippi. How did you come across Trippi and what has that experience been like for you? JP: I fell head over heels for him watching him in the paddock for his first race. In nearly 10 years working in racing, there has not been a horse before him or since him that I absolutely had to have. He has been an incredible adventure – he makes me a better rider and a more patient person overall. He has not been the easiest horse – he is a little quirky, very stubborn and has a ton of personality, but those things made him a great racehorse and I wouldn’t trade him for anything. In 2015, you can guest handicap any race in the world on television, which race would you pick and why? JP: The Breeders’ Cup Turf. It is always one of my favorite races of the year and I am such a sucker for European turf horses. If i’m at Suffolk, the races are just finishing up and I want to have a great Boston meal, where are you sending me? JP: To the North Shore. Ceia, in Newburyport, has a Kobe burger that is unreal.